Poetry offers children an opportunity to express their thoughts and ideas about the environment in creative and artistic ways. Take children outdoors to observe a variety of trees and then encourage them to write a poem. Invite children to choose a tree near their home, school, or local park for observation. Ask children to spend time observing their tree from various perspectives; sitting against it, lying underneath it, walking around it, etc. Using nature journals or notebooks, have children record words, ideas, and impressions that enter their minds. 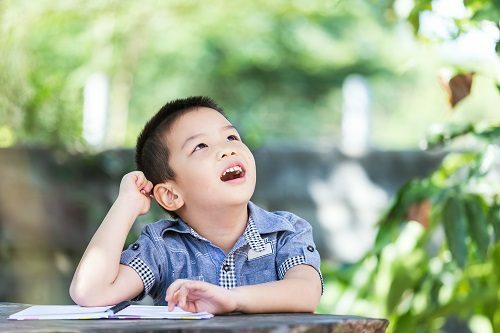 Remind children to use their senses (touch, smell, sight, and sound… but not taste) to generate more words to describe their tree. 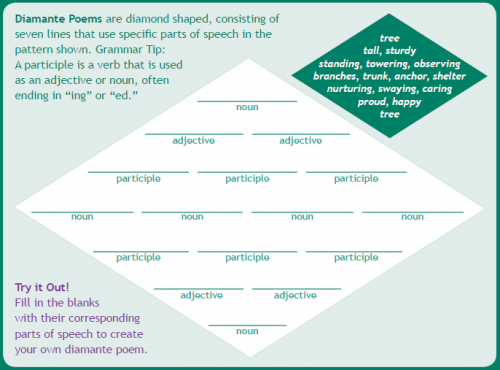 Finally, challenge children to convert their thoughts into one of the poetic forms provided. Later, you might ask them to explain which form they chose and why.